This one-of-a-kind race is the only one like it in the world. 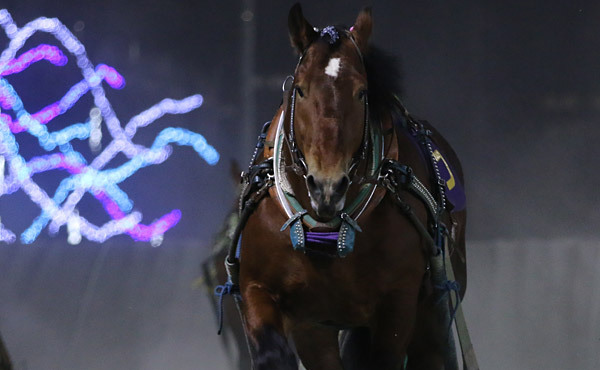 Experience the northern romance between horses and people. 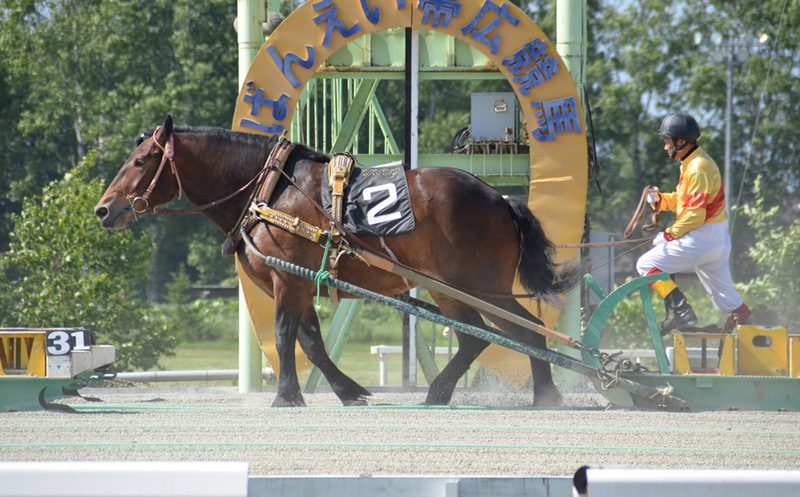 Banei Horse Racing is the only race of its kind in the world. 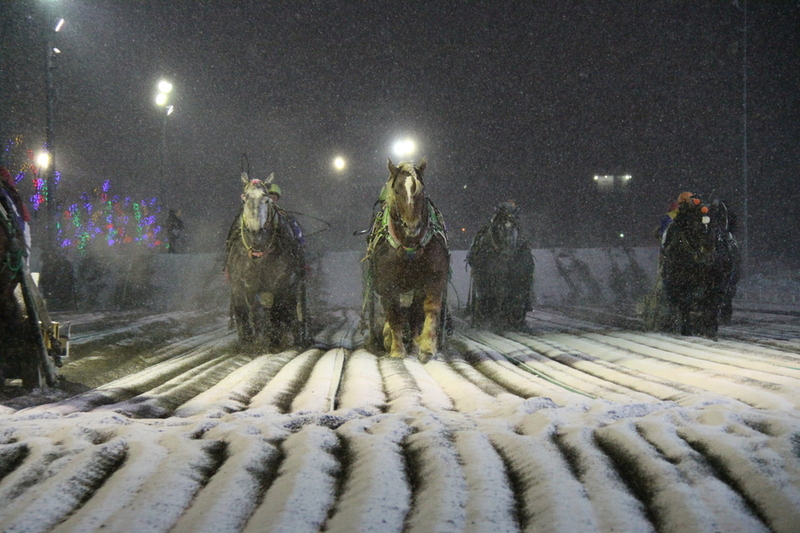 Large draft horses, weighing about 1 ton, race on a separate course in a 200 m straight line while pulling an iron sled that weighs up to 1 ton. his one-of-a-kind race is the only one like it in the world. 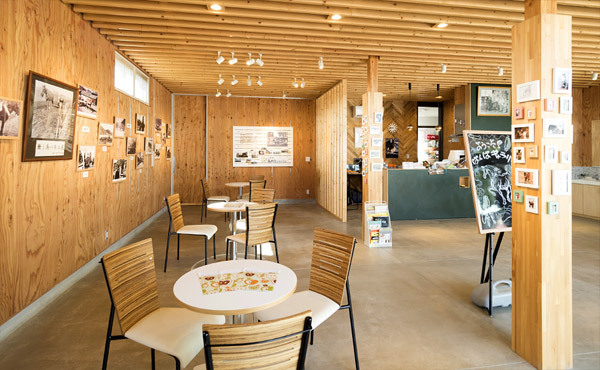 Experience the northern romance between horses and people. 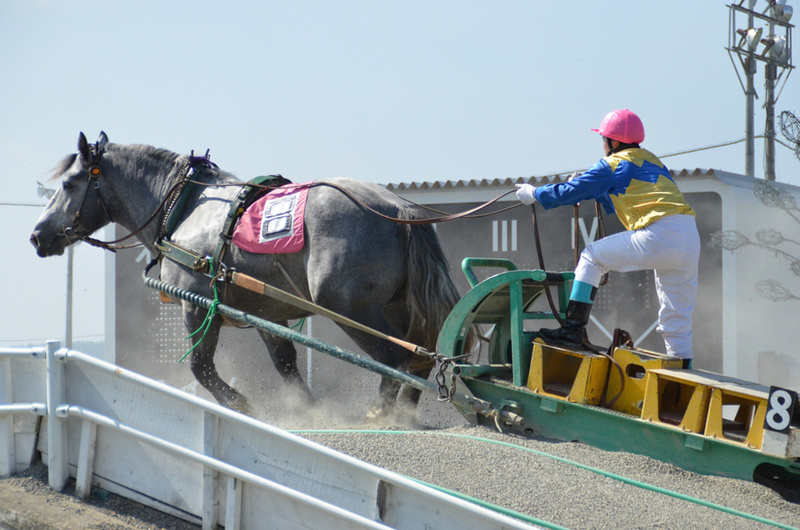 Banei Horse Racing is the only race of its kind in the world. 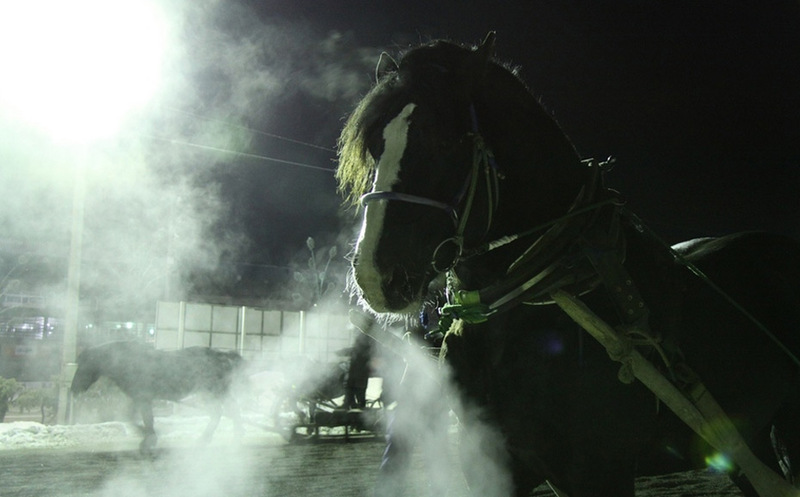 Large draft horses, weighing about 1 ton, race on a separate course in a 200 m straight line while pulling an iron sled that weighs up to 1 ton. In contrast to the flatland horse racing widely known to the general public, the power and endurance of the horse, not only the speed, and the technique of the jockey when climbing over the obstacles determine the outcome of the race. The race progresses slowly as the horse powerfully climbs over two obstacles while pulling a heavy sled. Being able to run and cheer on the side of the course with the horse is also a captivating aspect of Banei Horse Racing. 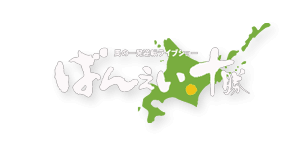 It is a transformation from the workhorse festivals which played a main role in the development of Hokkaido. 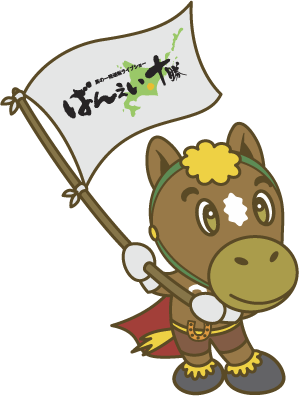 Banei Horse Racing, a culture unique to Hokkaido, was born from the harsh livelihood of the times when Hokkaido was being developed (around 1900). 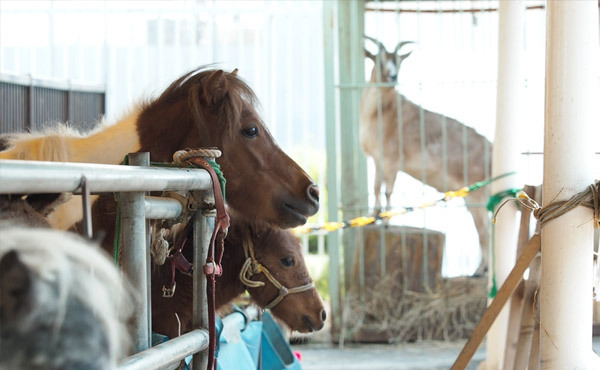 At that time, they would compete by having the horses play tug-of-war to test the value and strength of the workhorses. Later, it transformed into a competition which involved pulling a sled with added weight, and so it became established as a festival of workhorses, the "Draft Horse Festival." 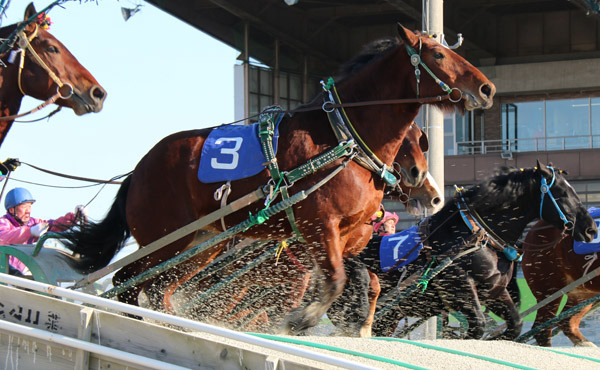 Banei Horse Racing is the only one of its kind in the world, attracting attention both inside and outside Japan as the "pulling horse" race that helped develop Hokkaido. It is the most powerful form of horse racing. The race is decided when the rear end of the sled crosses the finish line. 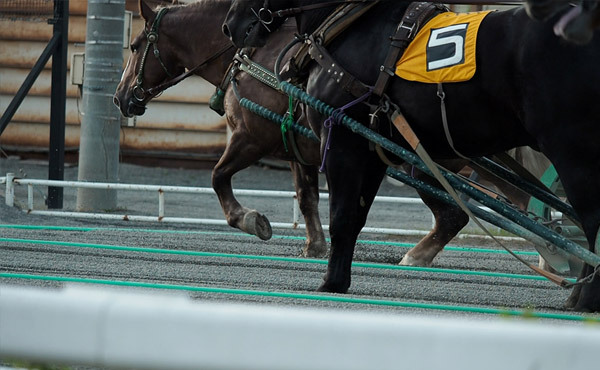 In flatland horse racing, the race is decided when the tip of the nose of the horse crosses the finish line, but in Banei Horse Racing, the race is decided when the rear end of the sled crosses the finish line. 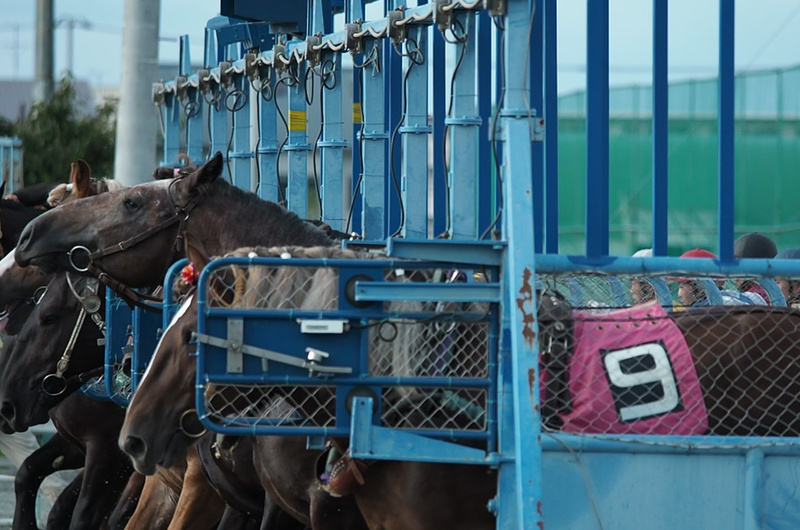 This is because the focus of Banei Horse Racing is on "finishing the cargo-carrying job" and sometimes the horse may stop before completing the race. The track condition improves after rain!? 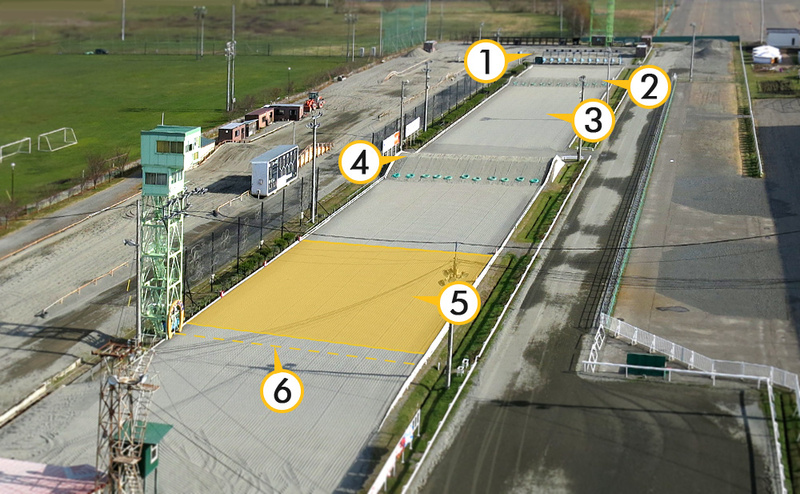 With Banei Horse Racing, the level of track moisture is indicated on the electric scoreboard. When it rains, the sled slides well, and the time becomes faster. 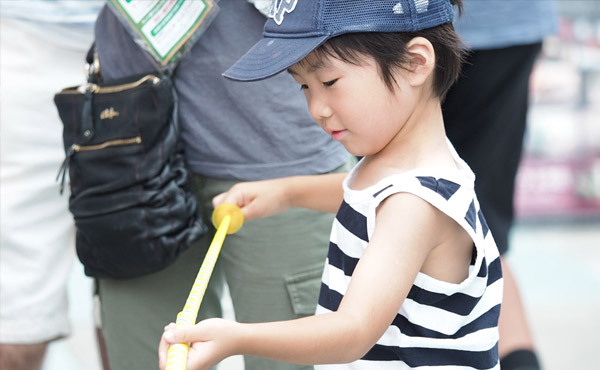 On a sunny day, there is less moisture, and the time becomes slower. 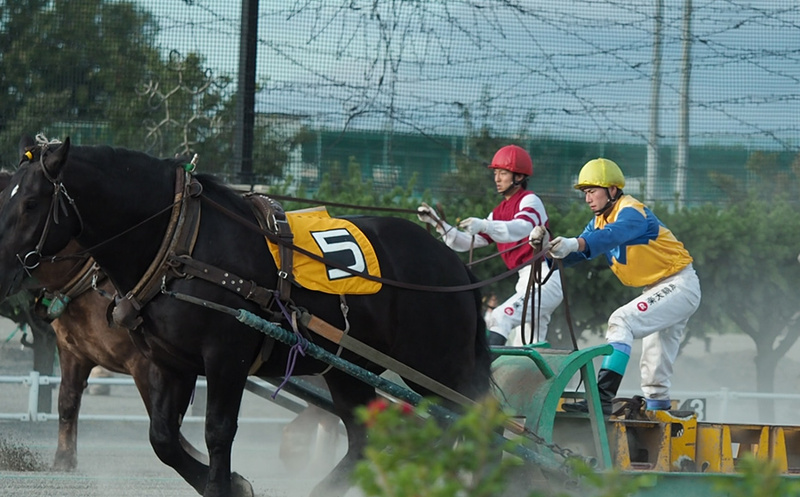 In comparison to flatland horse racing, Banei Horse Racing is a type of race where the technique of the jockey is more important. As they think about how to overcome the two obstacles placed on the course, the jockeys will check one another. The jockey may decide to go aggressively all at once or take it easy. The jockey and horse run on the track as one, and the thrilling tactics mesmerize the fans. 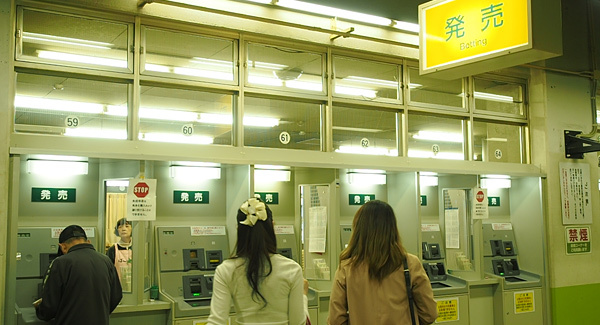 The betting tickets are bought by filling out a mark card. There are four types of mark cards, "Blue," "Red," "Green," and "Purple." If you are buying a betting ticket for the first time, select "Blue" or "Red." 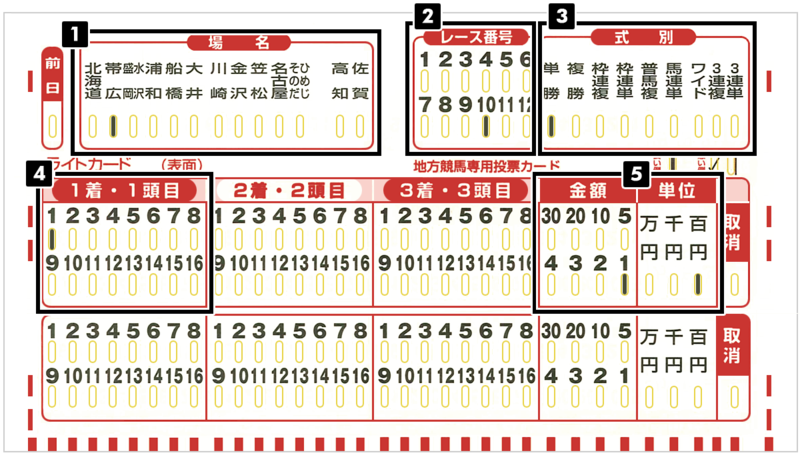 In Banei Horse Racing, there are eight types of betting tickets. Here, we explain how to buy a "win." A betting ticket that wagers on the horse that will finish in 1st place. A betting ticket that wagers on the horse that will finish within 3rd place. A betting ticket that wagers on the combination of the bracket numbers of the horses that will finish in 1st and 2nd place. A betting ticket that wagers on the combination of the horse numbers that will finish in 1st and 2nd place. A betting ticket that wagers on the exact horse numbers that will finish in 1st and 2nd place. A betting ticket that wagers on the combination of two horses that will finish within 3rd place. A betting ticket that wagers on the combination of the horse numbers that will finish in 1st, 2nd, and 3rd place. A betting ticket that wagers on the exact horse numbers that will finish in 1st, 2nd, and 3rd place. How to Buy a "Win"
Recommended for horse racing beginners! This is an explanation of how to buy a "win" using the Light Card. 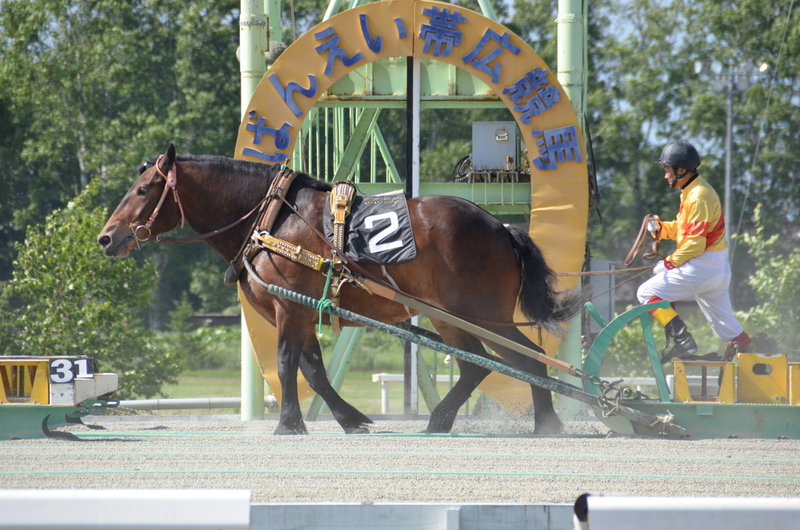 When buying ¥100 worth of 1 in a "win"
Mark the name of the racetrack, "Obihiro." Mark "Win" under "Type of Bet." Mark the horse No. in the first row of the "1st Place/1st Horse" column. * We do not use the "2nd Place/2nd Horse" or "3rd Place/3rd Horse" column. Mark the number and unit of the amount to buy. 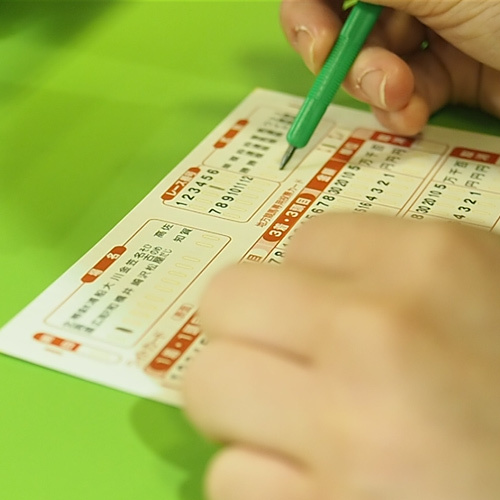 Once you understand how to fill out a Mark Card, let's buy a betting ticket. 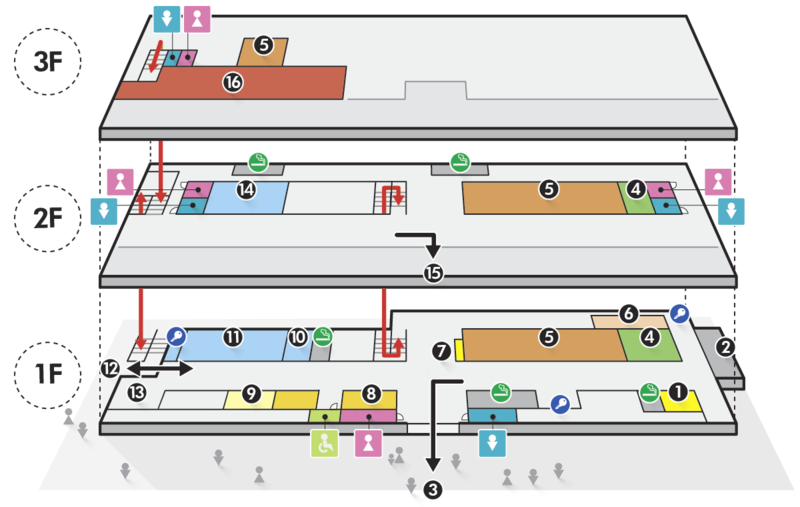 * The cut-off time for buying a betting ticket is two minutes before the race starts! Please take note of this. 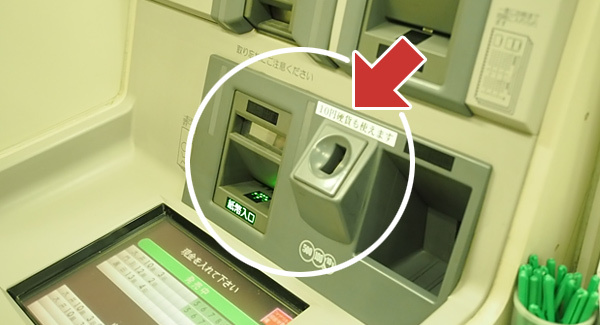 You can buy it conveniently from an automatic ticket machine. Insert the Mark Card you have filled out. If you win, go to the Repayment Window. 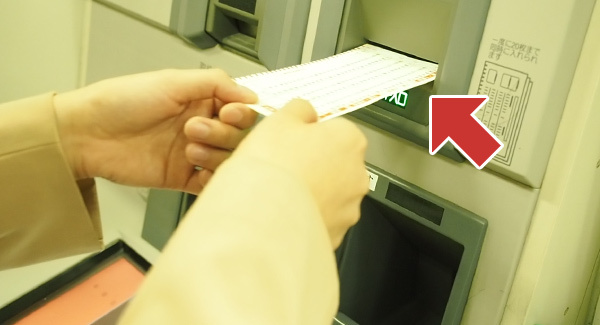 If you insert the betting ticket into the automatic ticket machine, the repayment will be made automatically. 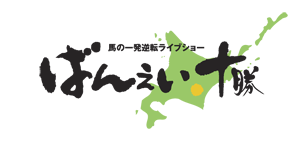 Unlike flatland horse racing, Banei Horse Racing takes place on a separate course in a straight line of 200 m and width of 1.8 m.
Obstacle No. 1/Height of 1 m. The first peak of the race. Midway Point/Between Obstacle No. 1 and Obstacle No. 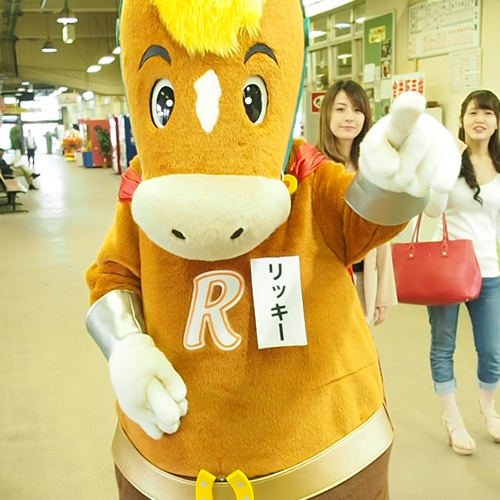 2, the jockey will sometimes stop the horse to save the horse's stamina before Obstacle No 2. Obstacle No. 2/Height of 1.6 m. The greatest climax of Banei that determines the outcome of the race. Sand Obstacle/Sand Obstacle with a slope of 0.5 m placed in front of the finish line. This obstacle boosts excitement in front of the finish line. 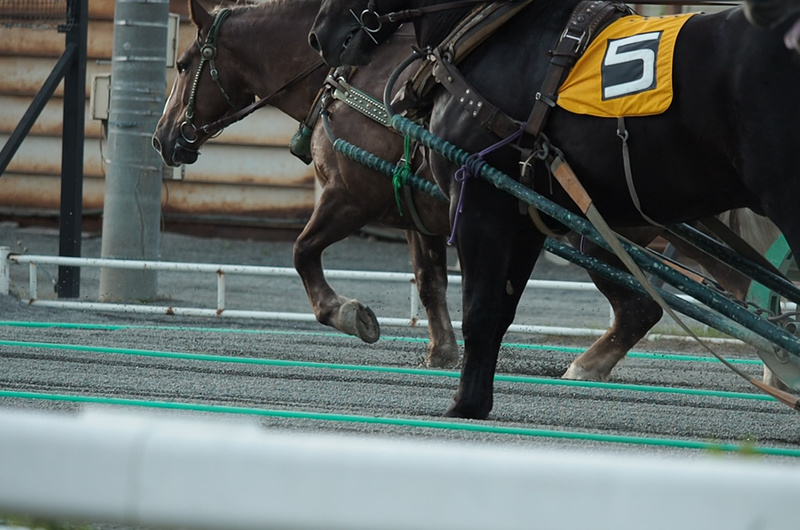 The race is decided when the rear end of the sled crosses the finish line./In Banei Horse Racing, the race is decided once the rear end of the sled crosses the finish line. 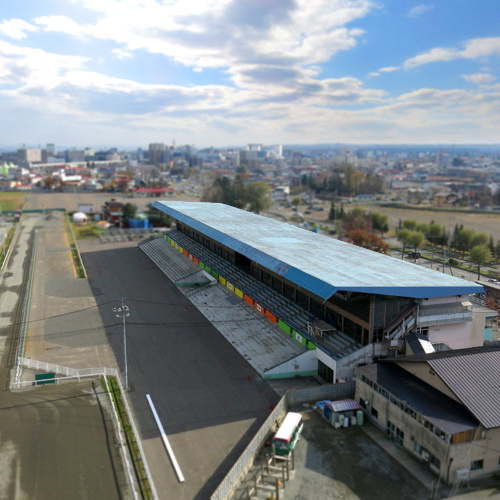 The racetrack has heating!/During the winter, the racetrack is heated. You can watch a hot race where the racetrack never freezes. Approx. 15 min. 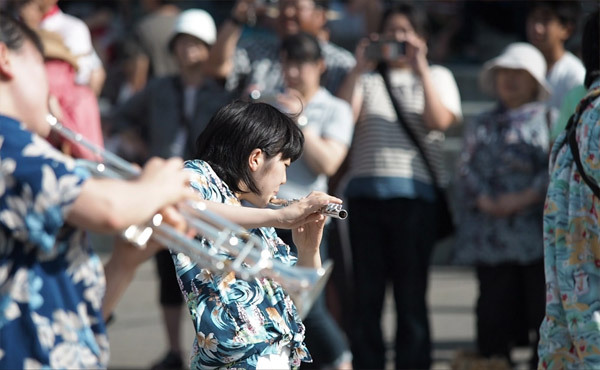 from "Memuro Obihiro IC"
Approx. 15 min. from "Otofuke Obihiro IC"
Get on at Bus Terminal No. 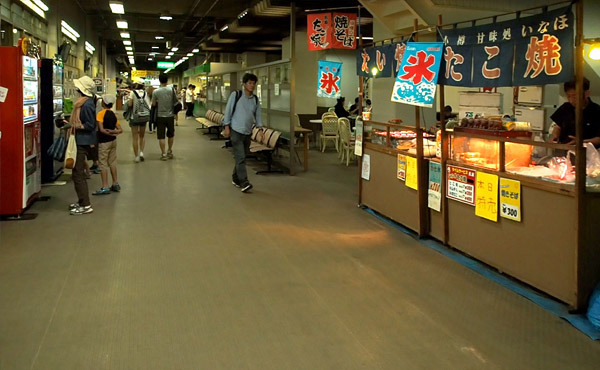 12 of Obihiro Station, and get off at the "Keibajo" (Racecourse) bus stop.